In a 1986 episode of the long-running sitcoms Cheers (“Yacht of Fools”), the factoid-laden character Cliff Clavin arrives at the eponymous bar carrying several video cassettes, informing the bar’s denizens that he has procured from a local video store some choice cinematic fare, namely movies involving “pod people, invisible monsters, and wise cracking robots.” It’s an interesting coincidence, as some five years later on a show entitled Mystery Science Theater 3000 (often referred to as MST3K), two robots, Crow T. Robot (Trace Beaulieu) and Tom Servo (Kevin Murphy), who, together with their inventor, a hapless janitor named Joel Robinson (Joel Hodgson), jettisoned into space by two mad scientists (Beaulieu and Frank Coniff) and forced to watch bad movies aboard a satellite jokingly referred to as the “Satellite of Love” (a reference to Lou Reed, perhaps, but also “S.O.L.”; get it? ), cracked wise about Pod People, a poorly dubbed, horrendous Spanish E.T. rip-off from 1983, and a glorious example of the ridiculously inept, yet for the most part immensely watchable z-grade fare the show lampooned on a weekly basis. (The pod people to which Clavin was actually referring were from Invasion of the Body Snatchers , the invisible monster from The Invisible Monster , and the wise-cracking robot likely Robby from Forbidden Planet , three movies not lampooned by MST3K). 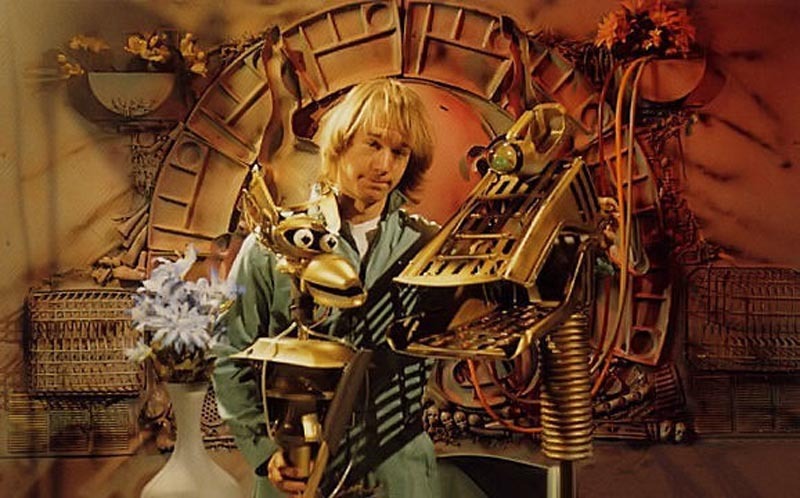 MST3K initially aired for one gestational season on KTMA, a local Minneapolis cable station, the result of the station’s need for inexpensive original programming, as each episode ate up two whole hours of programming. For largely the same reason, the show was later picked up by the fledgling comedy cable network, The Comedy Channel, which soon after merged with the equally new Ha! to become what is now known as Comedy Central. 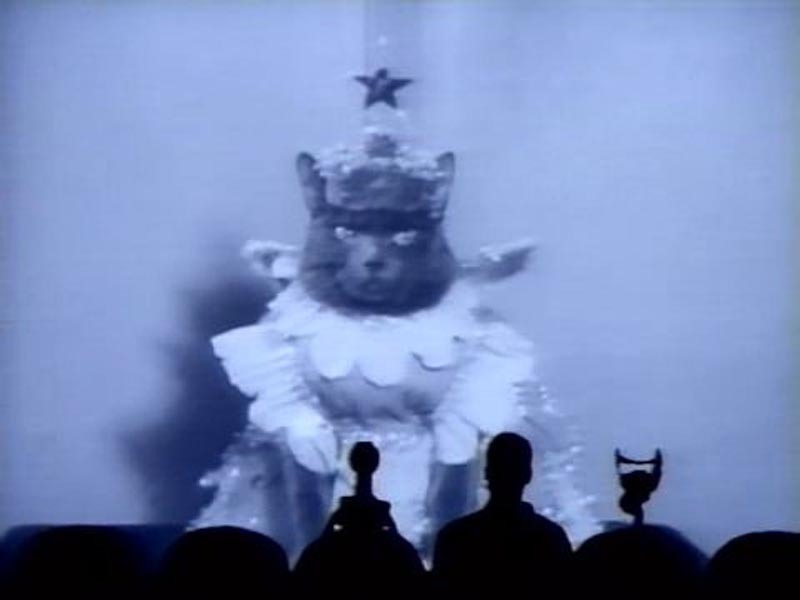 MST3K‘s miniscule budget (two sets, minimal effects and much of its run time eaten up by silhouetted characters watching bad movies) and almost immediate popularity made the show one of the network’s first success stories, and arguably helped the network survive its uncertain early years, a time when much of its programming consisted of reruns, second rate movies, and stand-up footage (this was long before The Daily Show). MST3K was a cult classic almost from the start and, given its pedigree-a decidedly low budget, sci-fi setting, hearkening back to the late movie hosts of local TV programming (anybody remember Morgus the Magnificent, Vampira or Cleveland’s own Ghoulardi? ), as well as its unearthing of some of the most eminently watchable low grade cheese ever committed to celluloid-it’s not hard to see why. This cult status, at first supported by a dedicated viewership (“MSties”), also encouraged by the show’s producers at the end of each episode to “keep circulating the tapes” (that’s VHS tapes for you millennials and after), has since grown exponentially, thanks to the show’s semi-legal presence on YouTube, Shout Factory’s legitimate DVD releases, and, of course, the circulators, though the preferred medium is now a digital file or a CD-ROM instead of a clunky old VHS tape. 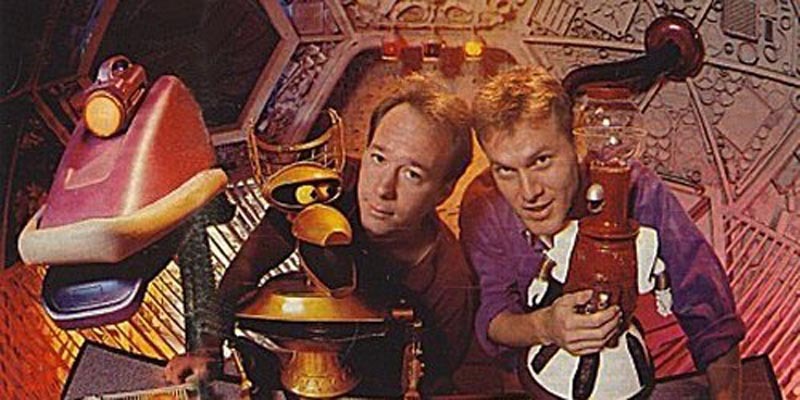 In 2011 or 2012, leading up to the show’s 25th anniversary in 2014, I floated an idea for an oral history of MST3K-cleverly titled (or so I believe) It Stinks: An Oral History of Mystery Science Theater 3000. The “it stinks,” and my imagined cover featuring a silhouetted hand making an okay sign are maybe an obvious reference to anyone possessing a fair knowledge of the show; I’ve provided a video link below for those not in-the-know. I even went so far as to attempt to contact the principals: Hodgson, Beaulieu, Murphy, Coniff, Mike Nelson, Bill Corbett, Mary Jo Pehl, J. Elvis Weinstein, and Jim Mallon. Regrettably, either my lack of credentials or their lack of enthusiasm – or both – resulted in their either politely declining or failing to respond altogether. Two or three years later, on the eve of the show’s twenty-fifth anniversary, a short “oral history” appeared in an issue of appropriately credentialed Wired, involving most if not all of the aforementioned participants. The rest, as they say, is history. 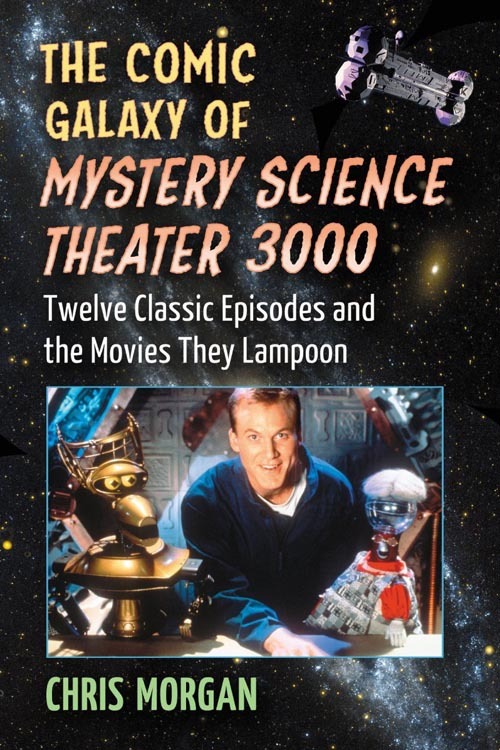 Perhaps my failed endeavor to preserve the full story of MST3K for posterity has unfairly colored my perception of Chris Morgan’s new book, The Comic Galaxy of Mystery Science Theater 3000: Twelve Classic Episodes and the Movies They Lampoon, just out from the good people at McFarland, a book that, according to the publisher’s description, purports to be “the story of MST3K from beginning to end.” I must admit I grew wary of that claim when I received this thin book, which without front and back matter clocks in at a mere 165 pages. I was also discouraged by the book’s cherry-picking only twelve of the 198 installments (197 +/-98 minute televised episodes and one theatrically-released film, though Morgan does wisely contribute a single chapter dedicated to the not insignificant number of short films also featured on the show). 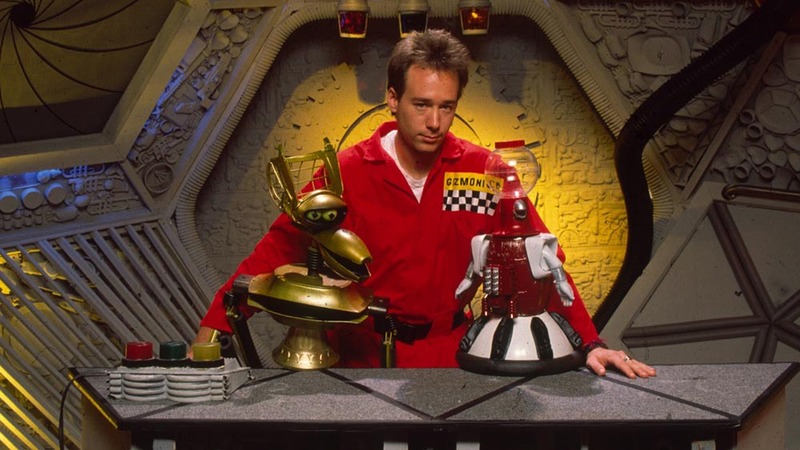 Certainly, the amount of material any student of the MST3K phenomenon must consider is daunting, but why only twelve episodes, even if, admittedly, they number among the show’s finest? (A list of those movies is provided below in the link to the table of contents). Finally, Morgan’s stated aim of critically addressing the films “riffed” (as the alternately hilarious/witty/urbane/snarky commentary on the movies has since come to be referred) seems a bit beside the point. Other than their meeting the criteria of cheesiness, what insight can unpacking these films possibly provide? Morgan argues that not looking at these films critically presents a “missed opportunity,” and therefore his aim is to “use these films to explain the show… What do these movies say about the show? We find out because of what the show has to say about the movies.” Circular logic you might say, but fair enough. 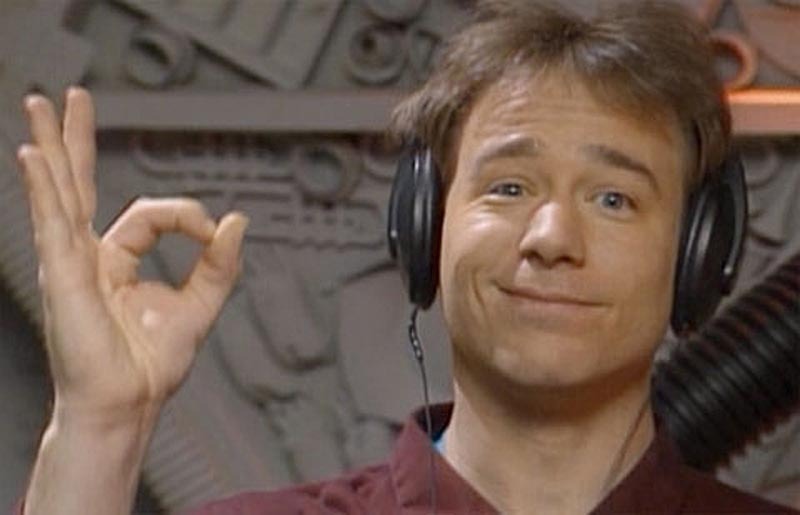 What Morgan has produced, apart from these very obvious drawbacks, is a clunky, if passingly readable examination of MST3K‘s reputation as a purveyor of minor classics of the B-grade variety. At times Morgan, who I note maintains a pop culture blog, is a bit too informal; his syntax and grammar shows the competency of a high school student. That said, I agree with his caveat, included in the introduction, that, after all, it’s just a book and I really should relax (a play on the show’s theme song), yet I found the transitions between his chummy-and somewhat sketchy-detailing of the show’s history and his occasionally capable critical approaches to the films under discussion somewhat jarring. Moreover, Morgan’s thesis of using the films to shed light on the show is strained, though he does make an interesting case for how the film’s material altered and expanded the show’s visual, aural and textual palette by providing its writers with what might be called a bad movie lexicon. The use of current and not-so current references (and references at times so obscure as to make Dennis Miller jealous) inspired by the films viewed, undoubtedly adds to the show’s cultish appeal and provides viewers with a sense of being in-the-know, on the inside, and, perhaps just as importantly as it is for any cult, a feeling of smug self-righteousness that they are in and “someone else” isn’t. The charm of MST3K is that it accomplishes this in such a refreshingly unpretentious and enjoyable manner. The show, for all its knowingly cruddy content, remains eminently watchable and timeless, despite its cultural references reaching no further than 1997, when the show unfortunately went off the air. Morgan’s frustrating book, whatever its many faults (for example, Morgan could have examined in greater depth the producers re-editing of the source material, as they often had to cut for time and narrative purposes; Morgan mentions this practice in the introduction but then largely drops it), at the very least manages to capture the-for lack of a better word-fun of watching MST3K. Moreover, it includes a number of interesting, Cliff Clavin-esque factoids about the show’s history and the movies of which they chose to make fun. Energetic and fast-paced, Morgan’s book is a moderately enjoyable way to spend an afternoon, revisiting the Satellite of Love and taking a closer look at the bad movies we love to hate. Below, I’ve provided a link to the table of contents, in addition to another, more in-depth look at the MST3K phenomenon, In the Peanut Gallery with Mystery Science Theater 3000: Essays on Film, Fandom, Technology and the Culture of Riffing, edited by Robert G. Weiner and Shelley E. Barba, also published by McFarland. Let’s hope these are the first of many more volumes to come. The Comic Galaxy of Mystery Science Theater 3000 table of contents. Eric Hoffman is a regular contributor to Comics Bulletin and the editor, with Dominick Grace, of three volumes of University Press of Mississippi's Conversations with Comics Artists series: Dave Sim: Conversations, Chester Brown: Conversations and Seth: Conversations. He is also the editor the first book of criticism on Sim's Cerebus, Cerebus the Barbarian Messiah: Essays on the Epic Graphic Satire of Dave Sim and Gerhard and the author of a biography of poet George Oppen, Oppen: A Narrative. He lives in Vernon, Connecticut.